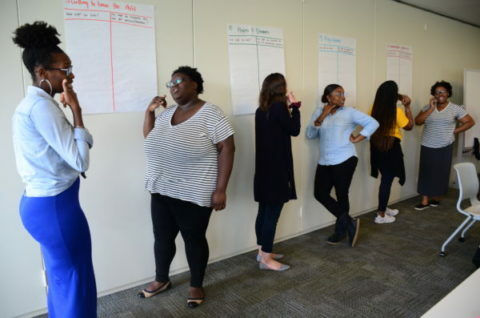 Weeks before classes ended for summer in Washington, D.C., Flamboyan began launching a series of leadership development and coaching sessions to build the capacity of teachers and school leaders to think through family engagement practices and outcomes. 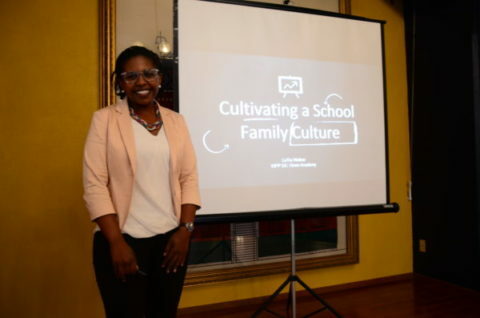 Many educators from our partner schools and premier teacher fellowship, the Innovations in Family Engagement Fellowship, have come together to share learnings about how family engagement strategies and practices made an impact this past school year. They also thought-partnered with Flamboyan coaches to talk through what they’re hearing from families and how these perspectives can shape family engagement practices that better serve families’ needs. 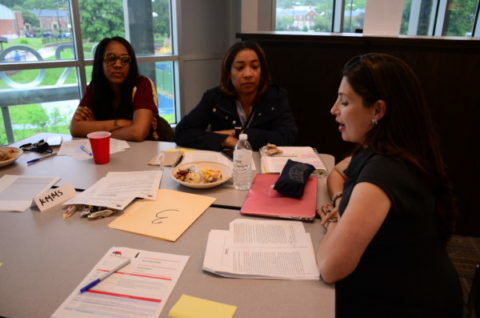 Through dynamic Summer Planning Retreats, Professional Learning Communities, and the ending a final session of the Innovations in Family Engagement Fellowship, teachers and school leaders from across Washington, D.C. connected to share key findings about how family engagement practices are landing for families and students. Among many highlights, below are a few we’d like to share. 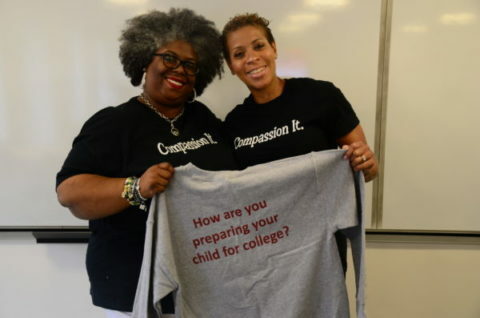 College counselors from one of our high school partners participated in a Professional Learning Community to share learnings from a program they launched to engage families in their child’s college application process. The Family Engagement Leadership Team from our veteran middle schools came together to talk through the value of Student-Led Conferences and other family engagement strategies that work better for families of students in older grades. LaTia Walker, an Innovations in Family Engagement fellow, delivers her final presentation and shares findings from the pilot family engagement program she launched at her school. Early childhood education teachers participate in a role-play activity to learn how to schedule a home visit, a family engagement strategy that helps to build relationships with families.